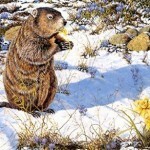 My tumor removal surgery was scheduled for February 2, 2006, Groundhog’s Day, so naturally I named my tumour Punxsutawney Phil. Mesothelioma treatment is grueling and aggressive, so as a family we needed something to lighten up the mood: This was as good an idea as any. And on that day in February, almost six years ago, one of my lungs was removed. Now, every year, the first weekend in February is cause for celebration in my family. 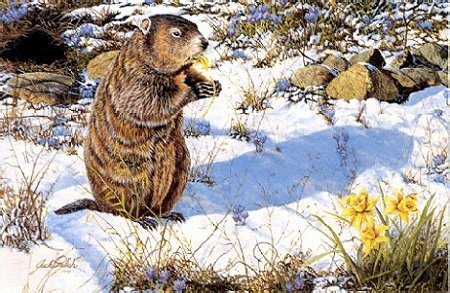 We don’t celebrate Groundhog’s Day: In our home, it’s Lungleavin’ Day, and the day we said good-bye to Punxsutawney Phil. At our Lungleavin’ Day party, we celebrate the valuable life lessons that are learned through difficult circumstances. It is a celebration of overcoming fear, of hope, and of the overwhelming strength of the human spirit. Most cancer survivors will tell you that cancer is a double-edged sword. It is both devastating and life-affirming. I truly believe that I am a better person thanks to my cancer journey. By refusing to become a victim, I eliminated much of the fear that accompanied my diagnosis. I am proud of the optimism I maintained and that, even in this terrible situation, I was able to find and appreciate the good. Very soon after my diagnosis, I determined that I wanted to help other mesothelioma patients find hope in their difficult days. My positive attitude was encouraged by my incredible mesothelioma doctor, who is the world’s leading specialist on this disease. Throughout my journey, I have met some of the finest human beings on the planet. Cancer warriors are tough, committed and passionate. We are wives, mothers, husbands and fathers. Our common diagnosis has bound us together, forming sweet relationships that will last a lifetime. I would not have the privilege of knowing any of these fine people if it were not for my cancer diagnosis. Although my journey was not something I would have chosen, my life now has more purpose and direction. I want to share my story with others so they can realize that there is hope in life’s toughest situations. I am determined to continue to remain optimistic and pass that optimism along to other mesothelioma patients. Heather Von St. James is a guest blogger for the Mesothelioma Cancer Alliance. If you would like to be a guest blogger on http://theknowitallmom.com, please refer to the Submissions guidelines and send me your stories or ideas. deductions. Worse than this, in our experience registrars simply don”t see anything wrong with what their auditors do. If you are to deduct entertainment, travel and business costs, then you must keep proper records.